Heating Services | AllTech Services, Inc.
That time of year is here again—it’s time to start using our heaters on a regular basis for a few months or more. Let’s say you get up one morning though, and your furnace isn’t running—so you go to the thermostat and turn up the heat. You wait … and nothing happens. You panic. Is your furnace completely broken down? Do you need a new one? We’ll be honest, if you have an older system and/or you have skipped your maintenance appointment, this is a possibility. However, there could be a number of reasons a furnace would fail to startup or turn on for another cycle. 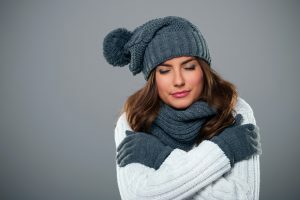 Yes, you should call for professional heating services in Ashburn when this occurs, but in the meantime we’ve shared some information below on what might be going on. Posted in Heating | Comments Off on Are You Having a Furnace Startup Problem? How Does Your Thermostat Affect Heating Efficiency? You may be living with a thermostat you inherited when you bought your home. Or maybe you purchased your own thermostat, but it was many years ago. 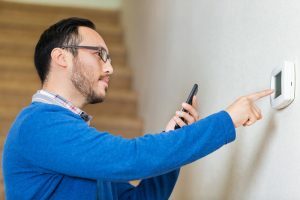 Today’s options have grown, exponentially so, and choosing the right thermostat to pair with your heating and cooling system can help you save money and improve your comfort. If you’re already considering upgrading your thermostat, then contact our team. We’re Ashburn, VA HVAC service pros, dedicated to helping you achieve optimal comfort within your living space. It’s likely that you don’t even know how much the improper installation of a thermostat can affect your heating system, which is the last thing you want to deal with this winter. This is why we don’t recommend completing the installation yourself. In fact, doing this can invalidate the equipment warranty on the device. Posted in Thermostats | Comments Off on How Does Your Thermostat Affect Heating Efficiency? Is the Filter in Your Furnace Dirty? Temperatures have begun to drop and soon enough winter will officially be upon us. There’s no denying it’s on its way, but it is imperative that we prepare for it. The best way to prepare your home is to make sure that your heating system is well maintained and ready to function as it should. If you haven’t done so already, now is the time to schedule a tune-up. Remember, however, that while annual heating maintenance is enough to help protect your heating system, leaving your air filter changes for annual tune-ups is not. Your filter needs to be changed often in order for your furnace to work effectively, efficiently, and successfully. Depending on the amount of pollutants in your indoor air, the air filter should be switched out every 1 to 3 months. Posted in Heating | Comments Off on Is the Filter in Your Furnace Dirty? What Can Happen if My Furnace Filter Gets Too Clogged? The weather has begun to cool, and we’re reminded of just how close winter is. Soon we’ll be running our heating systems on a daily basis. If you are anything like the average homeowner, it’s very likely that you have a furnace, the most popular type of home heating systems across the nation. But before you start to use your furnace, it’s essential that you schedule preventive heating maintenance—and also that you change your air filter. This filter protects both your furnace and central air conditioner, which will have collected plenty of debris of the summer. If the air filter isn’t changed on a regular basis—every 1 to 3 months during periods of use—then you can run into problems. Posted in Heating | Comments Off on What Can Happen if My Furnace Filter Gets Too Clogged?